Greg Mercer, Founder and CEO of Jungle Scout, is a successful entrepreneur, angel investor and experienced Amazon Seller. 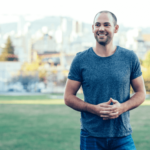 He talks with The Leadership Podcast about travelling the world as a digital nomad, taking the leap from civil engineer to entrepreneur, how he picks what he sells on Amazon, and transitioning from a doer to the leader. [4:58] Greg’s engineering background paved the way for Jungle Scout – a user tool that aggregates publicly available data on Amazon and turns it into actionable pieces. Jungle Scout leverages the Amazon channel and helps others see products that are in high demand with low competition. Be a self learner and self teacher. Get excited about your mission. Know how to get others excited about your mission. [9:15] Entrepreneurship can be most powerful level we have for self empowerment and self growth. [11:04] Greg is passionate about building successful businesses. [15:18] When building a community, stay laser focused on building value. [18:56] In the structure of Greg’s businesses, the community decides who has power. [21:02] Real growth happens when you step out of your comfort zone. [32:36] Greg’s advice to budding entrepreneurs: There’s no better time to start than now. When you face the actual worst case scenarios you will see it’s really not that bad. [75:34] Greg’s challenge: try to dive in to what moves the needle rather than what comes easy. Take the first plunge and don’t be afraid to travel a different path.